Add a lovely touch of holiday spirit with our elegant green plush Embroidered Christmas Stocking. It's classic style and perfect holiday color will look great for every member of the family to enjoy for years to come. 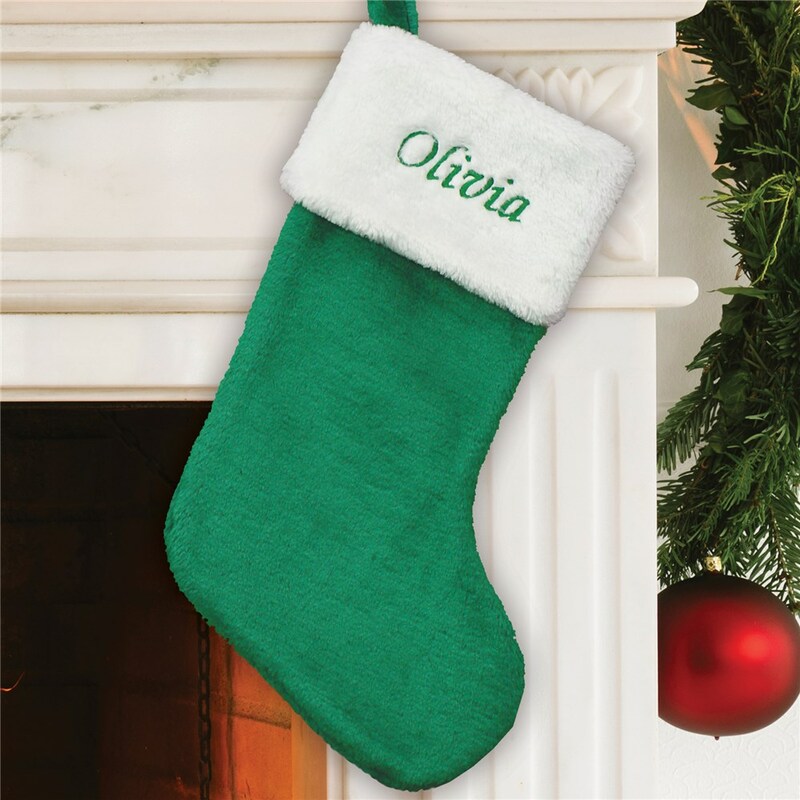 Embroidered with any name in our green thread this stocking will be a wonderful addition to your holiday decorations. Awesome quality! Sos oft and large enough to make any ones Christmas a hit! The stocking was perfect and matched the ones I had ordered in previous years. Very satisfied with the product and the delivery. 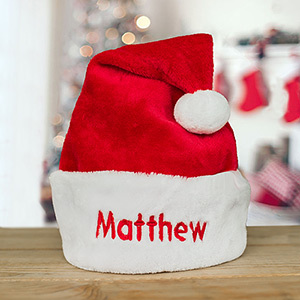 Additional Details Shop GiftsForYouNow and you get FREE personalization on every Christmas stocking and gift. Check out this red and ivory personalized Christmas stocking or something new like our clever word art Christmas stocking! 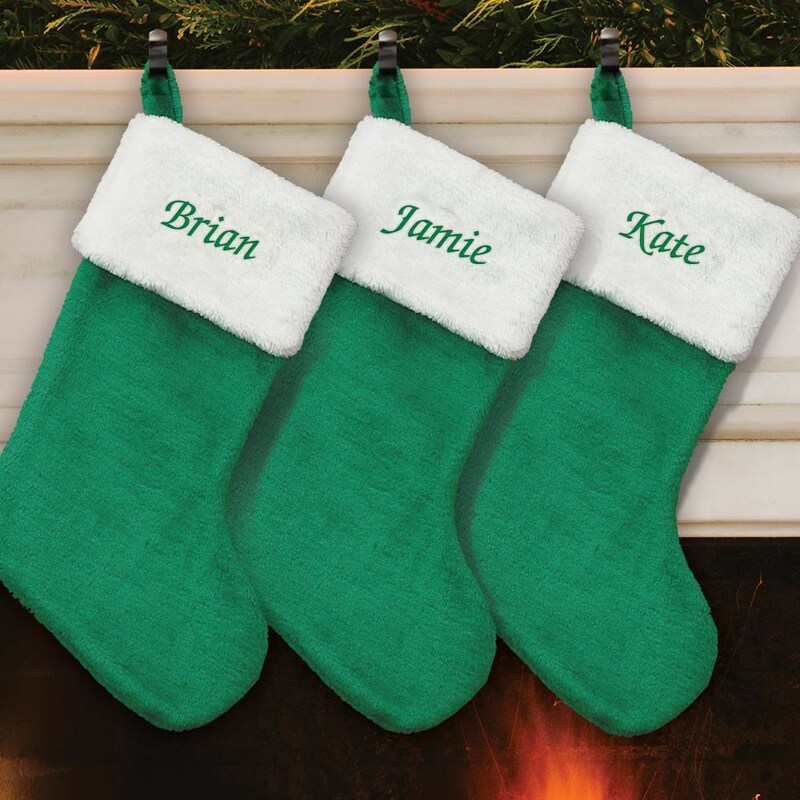 Shop GiftsForYouNow for personalized Stockings for your mantel in time for the holidays.